THE NETHERLANDS ANNEXED BY FRANCE. 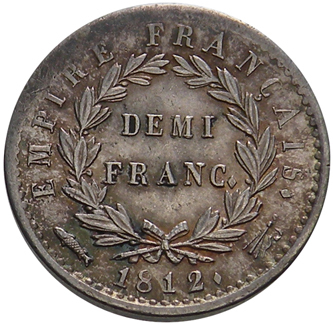 1/2 Franc 1812. Obv. Laureated bust of Napoleon right, beneath bust Tiolier the name of the sculpter. 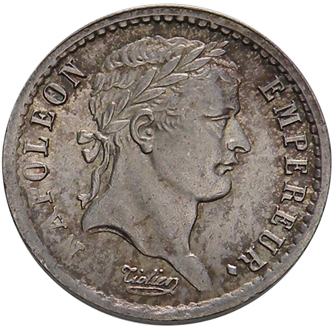 Legend: NAPOLEON EMPEREUR. silver, 18 mm., 2.47 grams.